We all know how important it is to eat a clean diet full of whole, real foods. However, buying only-fresh, only-organic foods at the grocery store isn’t always the most practical (or affordable) solution for most people. Packaged foods get a bad rap for being packed full of sodium, hydrogenated oils, trans fats, added sugars and chemicals, but not all packaged food is created equally. Below are eight packaged foods that you can happily add to your clean-eating arsenal. This isn’t your father’s jerky brimming with preservatives and additives. There are plenty of all-natural jerky brands out there that are not only low in calories and high in protein, but forego all the nitrates, MSG and artificial flavours of traditional brands. Just make sure you read your labels, and choose jerky that is simple 100% beef with no sugar or additives. Congratulations, you don’t have to give up your PB&J sandwiches! Of all the nut butters out there, you’re probably most familiar with peanut butter – however, there are a plethora of nut butters to choose from, including cashew, almond, hazelnut and more. 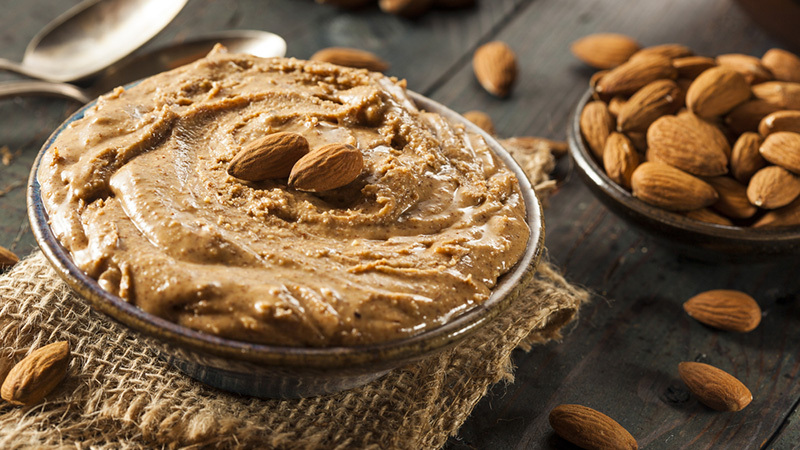 Nut butters are creamy, versatile and jam-packed with healthy fats, protein and fibre. The key here is to choose organic or all-natural nut butters, with no added oils or sugar. There should only be one ingredient on your nut-butter label: 100% nuts. Make sure to take a pit stop by the dairy section of your grocery store on your next visit! Yogurt contains nutrients like calcium and vitamin D, which are great for fighting off osteoporosis. Yogurt is also a healthy convenience food, shown to ward off high blood pressure, help combat hunger, and keep your gut flora in good working. Again, just like peanut butter, not all pre-packaged goods are created equal – keep your eye on the nutritional information and opt for sugar-free, all-natural, full-fat (yes, you heard right – fat is good for you!) yogurts with no added aspartame. You can add some fruit or honey for natural sweetness. In the mood for some seafood? 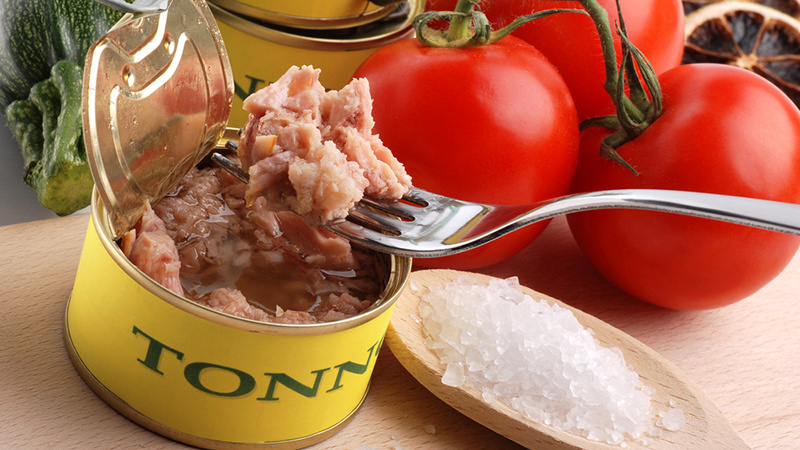 Why not reach for a trusty, inexpensive can of tuna? Tuna packaged in water or olive oil is an easy protein fix, plus it’s full of vitamin D, Omega-3 fatty acids, and more. Best of all, you can use this affordable and convenient food in casseroles, salads or sandwiches. What’s a dollar for a great taste and loads of nutrition? 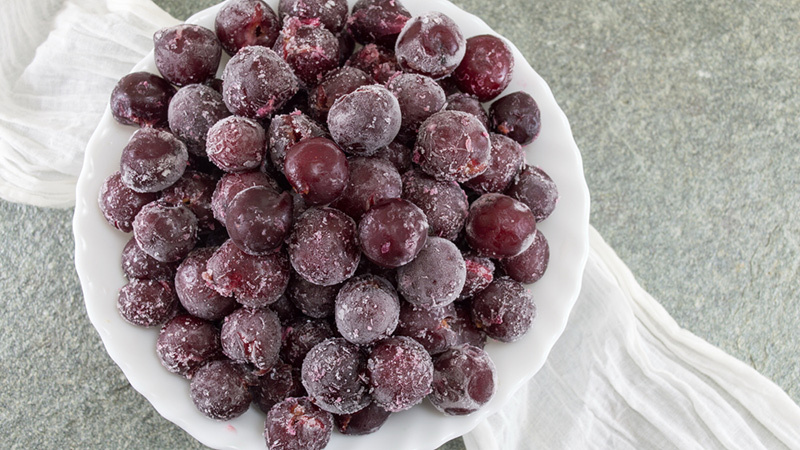 Speaking of frozen fruit, the same principle works for frozen veggies. 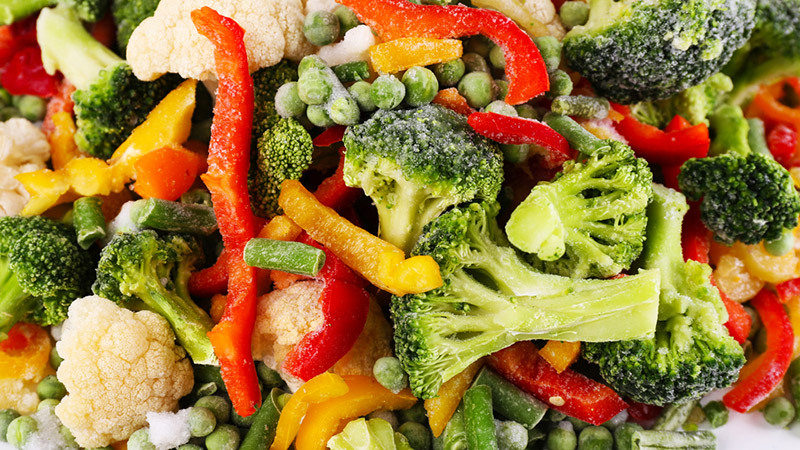 Studies suggest frozen veggies have just as many nutrients (if not more) as their fresh counterparts, since they’re frozen immediately after harvesting. Mix these in a stir fry to reap all the benefits. 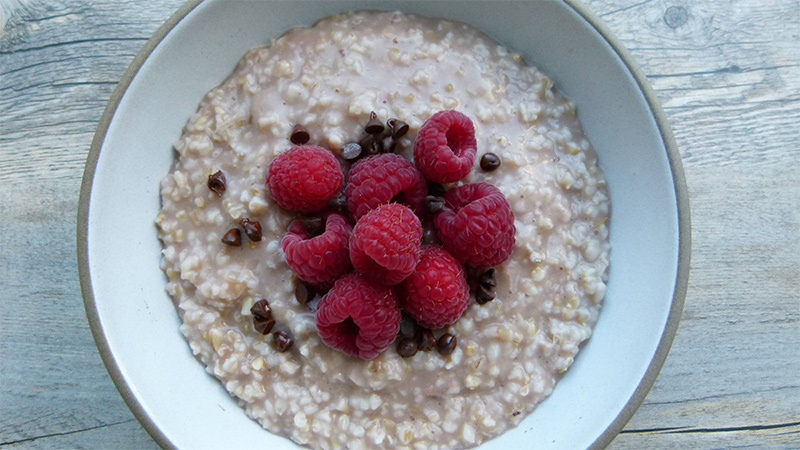 Full of fibre, potassium, and protein, oats are perfect go-to breakfast item that can be found in any store. Prepare overnight oats for a ready-to-go breakfast every morning, or use oatmeal for baking or even shakes. If you’re looking for a cheap and simple pre-packaged food that will be a staple in your morning routine, you can’t go wrong with oats. Just be sure to pick the natural kind, with no added sugars or flavours. Not only is it healthier, but this way you can add your own flavouring as you see fit. Beans, beans they’re good for your heart… and your wallet, and your waistline! Full of soluble fibre, beans can help you feel full for longer while also providing a nice serving of protein (great news for thrifty vegetarians). 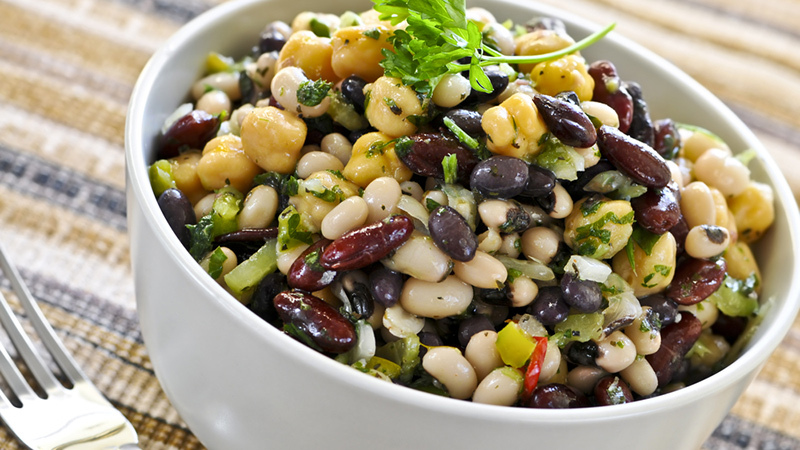 You have so many varieties to choose from — black beans, navy beans, and kidney beans, to name a few — and they’re great in stews, soups, salads, as spreads, etc. As always, read your labels, and choose canned beans in their most natural form. Whole grains are an important part of a clean-eating diet. 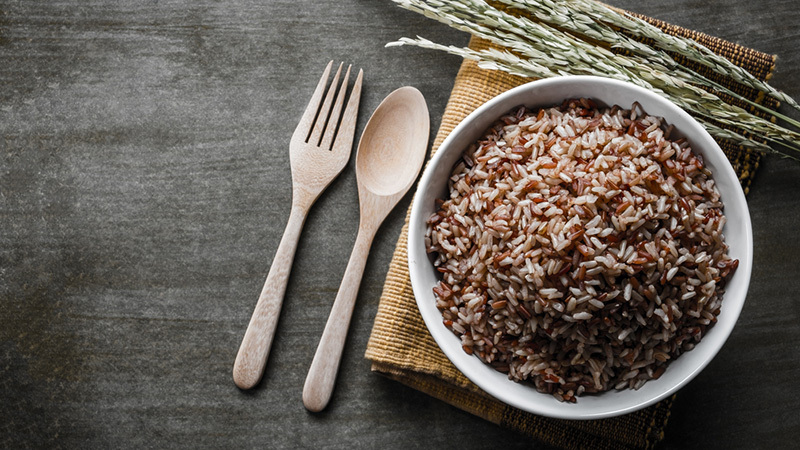 Not only are grains like brown rice or quinoa super versatile (stir frys, soups, stews, salads, the possibilities are endless), but they’re high-fibre and gluten-free. Quinoa packs the added bonus of protein. Last but not least is a classic breakfast food everyone’s had at some point – cereal! Now, we say this one with trepidation, so here us out. Stocking your pantry with Frosted Flakes and Lucky Charms isn’t all that healthy. The key to picking the right cereal is to (yes, you guessed it) take a look at the ingredients list. 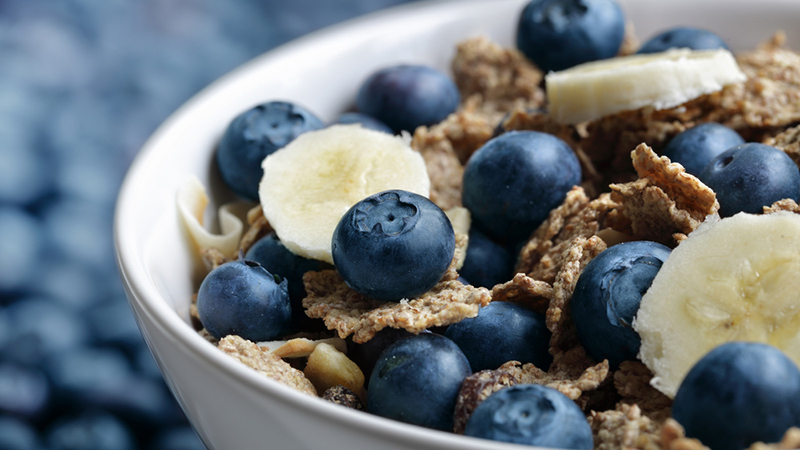 You’ll want to choose a cereal that is low in sugar, high in fibre and high in protein, but that boasts as few ingredients as possible. 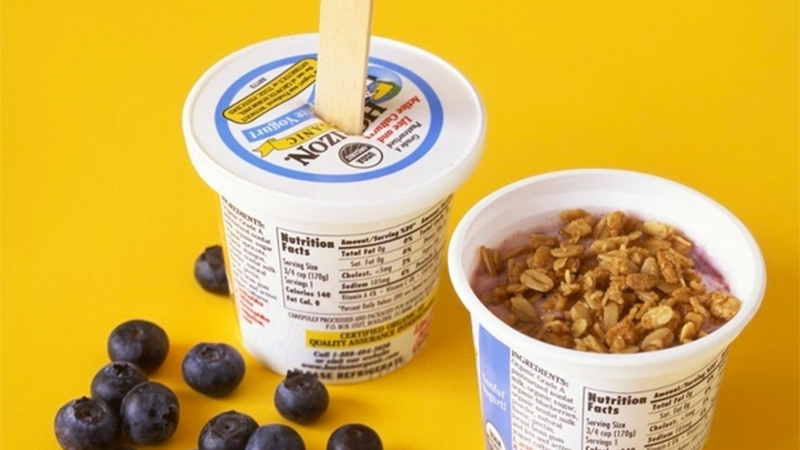 Add your own healthy toppings, like fruit, nuts or yogurt, to add nutrition and flavour.